uhoh toys: GruffHouse Exclusive available tomorrow! GruffHouse is a webstore and blog devoted entirely to handmade toys. I am honored to be a part of the official launch Monday the 27th along with a big contingent of other toy makers. Check out the site tomorrow at Gruffhouse.com. 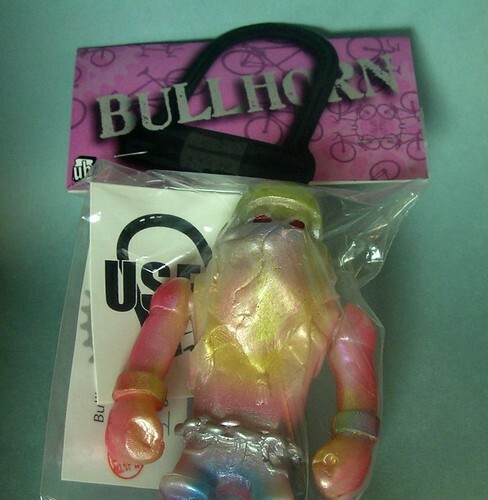 Three GruffHouse exclusive Bullhorns will be available at their webstore. Everyone have fun @ SDCC!